HomePro Heating & Cooling is here to help you keep your home comfortable all-year long with AC maintenance in Avon, IN, and the surrounding areas. Do you value the refreshing breeze that your air conditioning unit brings into your home? Unfortunately, as great as air conditioning units are at keeping homes comfortable, they need our attention every now and then to keep working optimally, which is where AC maintenance in Avon, IN comes into play. As a consequence of their hard work, ACs tend to suffer from wear and tear. Gradually, over time performance will diminish, and the machine will not be able to perform. But if you find the right contractor to help, this will not be a problem that you have to face. At HomePro Heating & Cooling, our technicians all carry a N.A.T.E certification, which is proof to the quality of our work. We can bring comfort back into your home, and affordability back into your budget. There is a lack of airflow from the vents throughout your home. There is air flowing freely through your home. But it is not as cool as it should be. You notice an increase in your utility bills. If you do notice any of these problems, you may feel the need to deter getting an AC maintenance in Plainfield, IN, and the surrounding areas. But leaving wear and tear to its own works will only result in expensive repair bills. At worst, it may even lead to the need to replace the entire unit! Inspecting and cleaning drain lines. Testing all motors, and safety controls. Inspecting, and cleaning evaporator coils. Ensuring that refrigerant levels are optimal for performance. Removing any sign of debris that could inhibit the performance of your unit. Ensuring the thermostat accurately collaborates. At the end of the day, you want to find a contractor that has a proven track-record, and sufficient training to do a quality job in a timely manner, right? After all, no one wants to have technicians in their home all day! We are endorsed by the Better Business Bureau, and our technicians are trained to deal with the latest emerging trends in the HVAC industry. 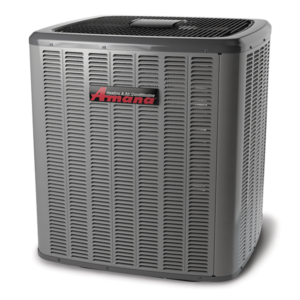 Rest assured, when it comes to AC maintenance in Plainfield, IN – we have got you covered. Would you like to schedule an appointment with our expert technicians to come have a look at your air conditioning unit? We would love to be of assistance. All you need to do is get in touch with us by reaching out to our Contact Us page. You can also reach out to us by calling at 317-271-2665.